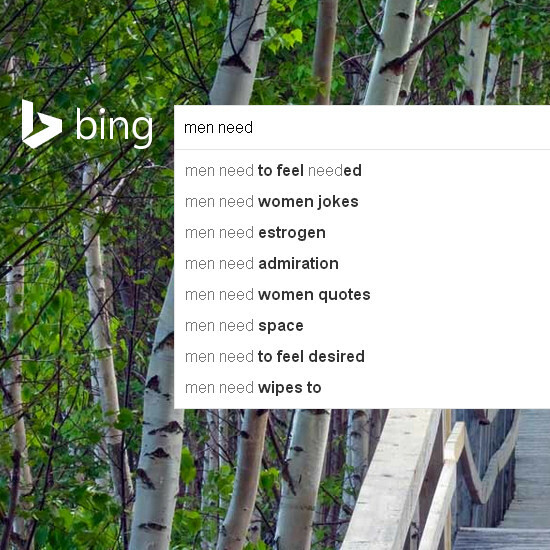 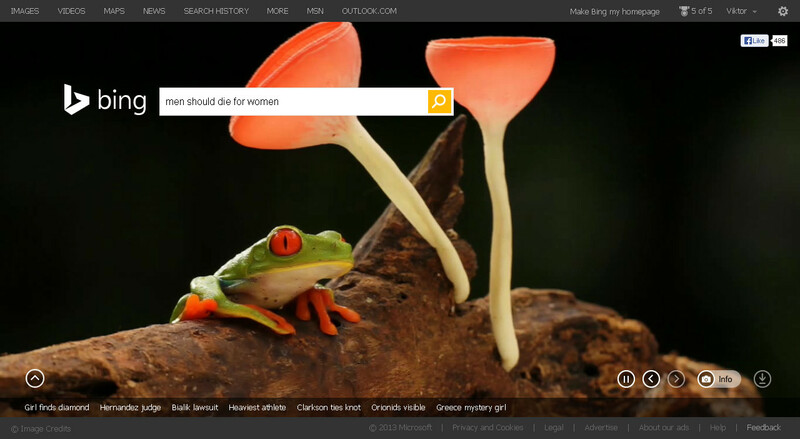 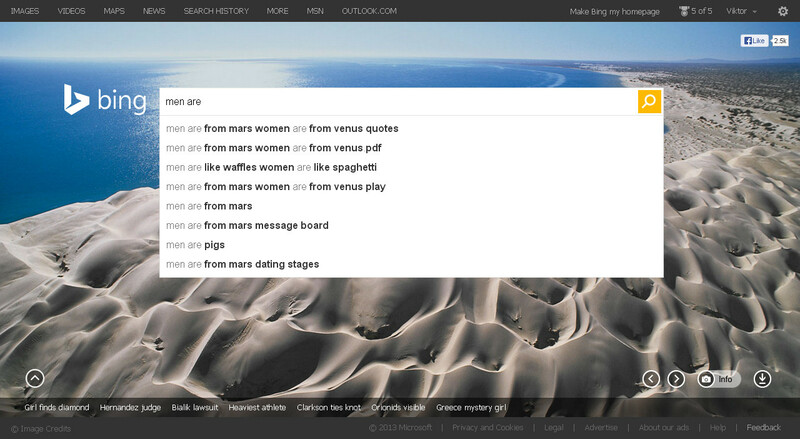 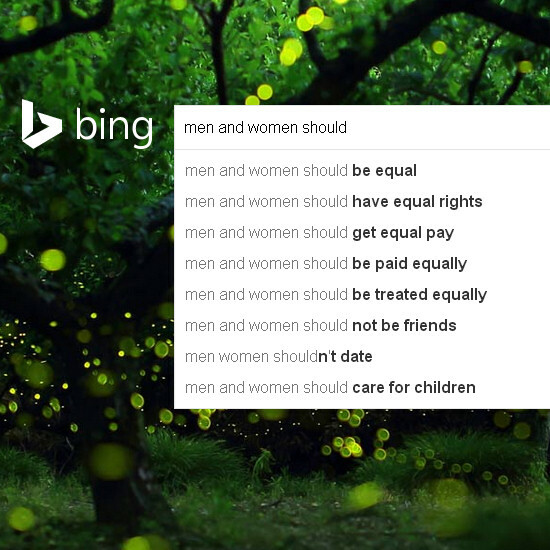 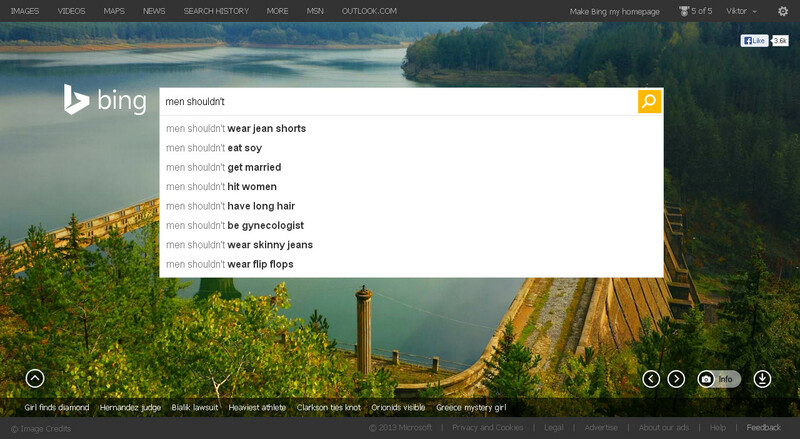 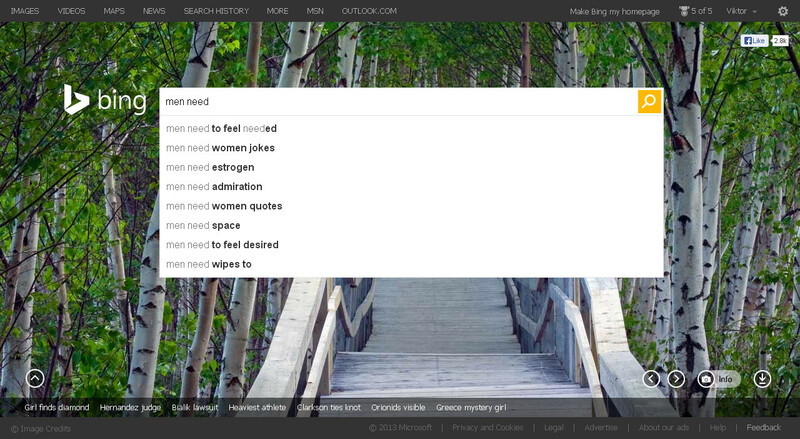 Autocomplete feature of Google and Bing reveals common stereotypes about men and women. 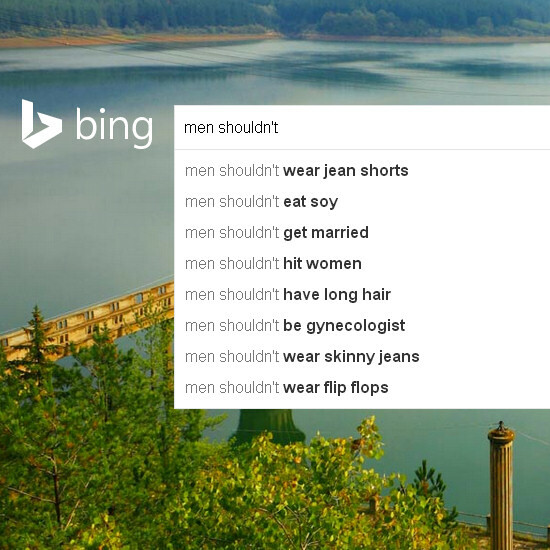 Inspired by the UN Women ad campaign, I tried out similar searches for men with some surprising results. 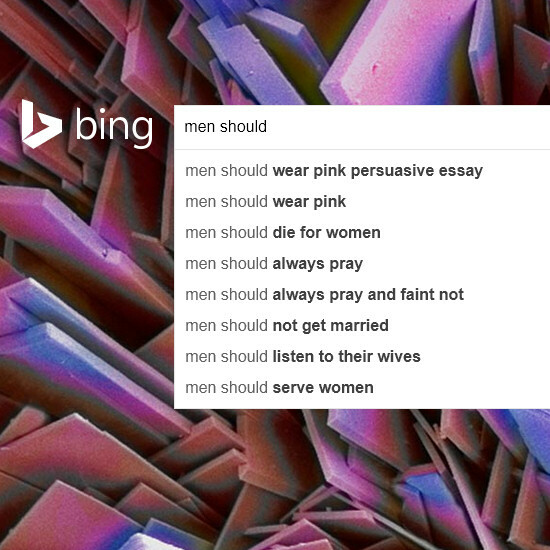 Hi, UN Women has created a powerful ad campaign showing what women should and shouldn't according to popular searches on Google. 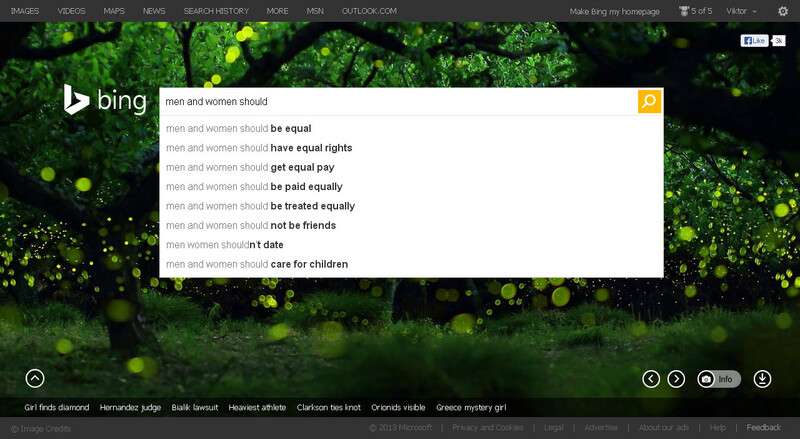 The campaign leverages Google's suggest feature and shows search boxes over women portraits. 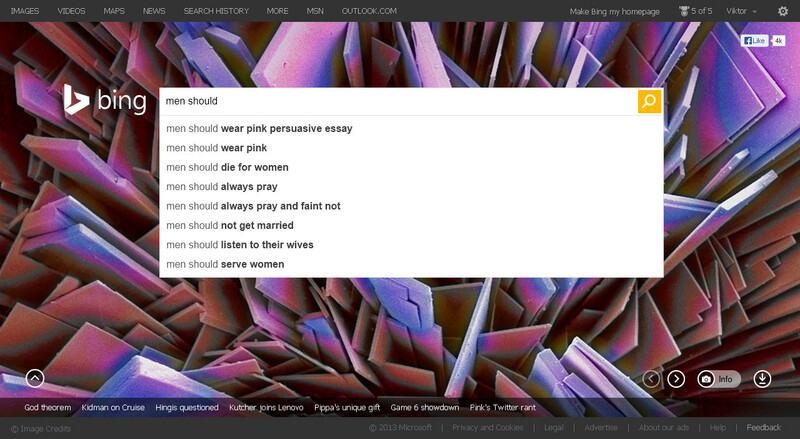 The search boxes contain phrases such as "Woman cannot" or "Women shouldn't" and below the search boxes you can see a number of suggested completions, which are based on the popularity of actual search queries. 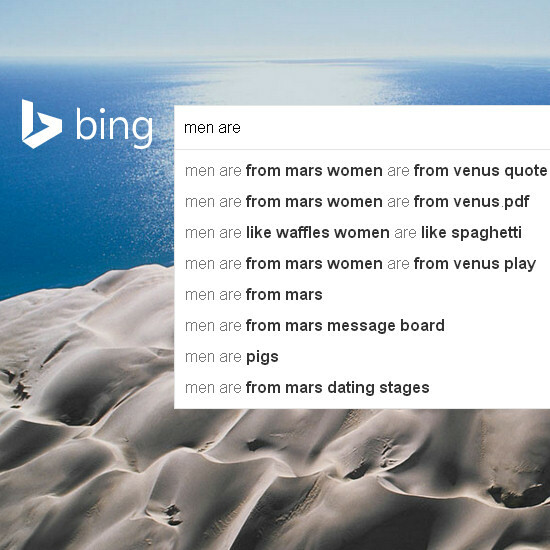 The results are both surprising and shocking. 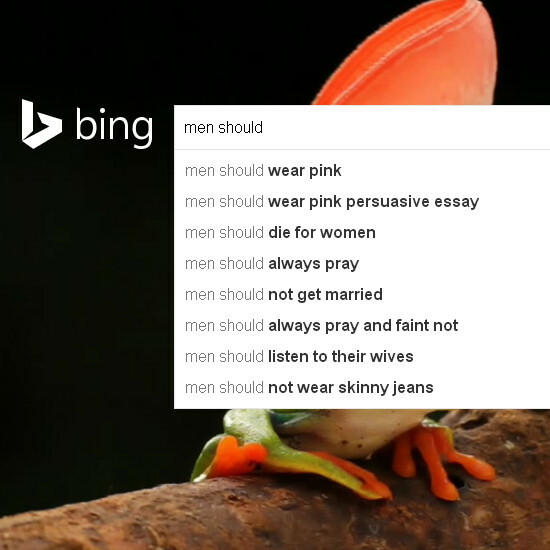 Funny, isn't it? 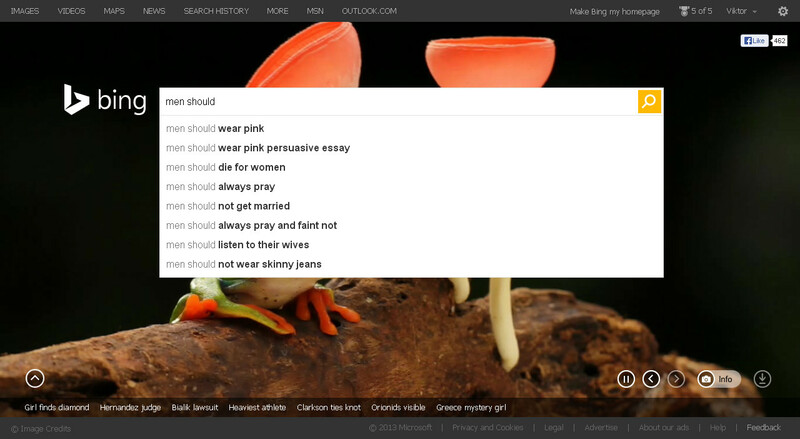 What is your favorite and what is your most shocking autocomplete suggestion? 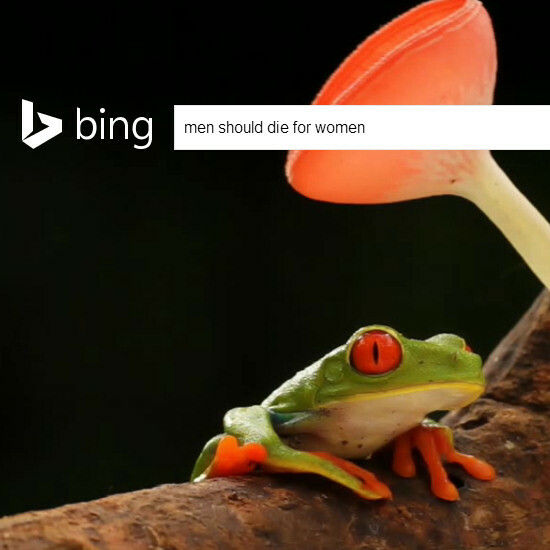 Let's try it yourself on Google or Bing!